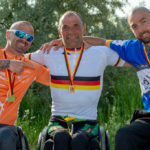 ELSDORF, GERMANY – MAY 19: Vico Merklein, Bernd Jeffre and Wolfgang Almer posing after the ceremony on Day 1 of the International Cycling Days – Cologne Classic 2018 during the Single Time Trials at the Terra Nova Race Track of Elsdorf on 19.5.2017 in Northrhine-Westfalia/Germany. 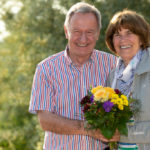 ELSDORF, GERMANY – MAY 19: Friedhelm Julius Beucher, President of the National Paralympic Committee and his wife on Day 1 of the International Cycling Days – Cologne Classic 2018 during the Single Time Trials at the Terra Nova Race Track of Elsdorf on 19.5.2017 in Northrhine-Westfalia/Germany. ELSDORF, GERMANY – MAY 19: WHOWHAT on Day 1 of the International Cycling Days – Cologne Classic 2018 during the Single Time Trials at the Terra Nova Race Track of Elsdorf on 19.5.2017 in Northrhine-Westfalia/Germany. ELSDORF, GERMANY – MAY 19: Matthias Schindler, Michael Teuber and Staffen Warias on Day 1 of the International Cycling Days – Cologne Classic 2018 during the Single Time Trials at the Terra Nova Race Track of Elsdorf on 19.5.2017 in Northrhine-Westfalia/Germany. 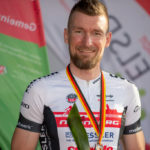 ELSDORF, GERMANY – MAY 19: Mathias Schindler during the ceremonies on Day 1 of the International Cycling Days – Cologne Classic 2018 during the Single Time Trials at the Terra Nova Race Track of Elsdorf on 19.5.2017 in Northrhine-Westfalia/Germany. 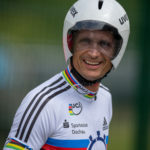 ELSDORF, GERMANY – MAY 19: Michael Teuber during the sceremonies celebrating on Day 1 of the International Cycling Days – Cologne Classic 2018 during the Single Time Trials at the Terra Nova Race Track of Elsdorf on 19.5.2017 in Northrhine-Westfalia/Germany. 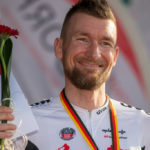 ELSDORF, GERMANY – MAY 19: Matthias Schindler during the ceremonies celebrating on Day 1 of the International Cycling Days – Cologne Classic 2018 during the Single Time Trials at the Terra Nova Race Track of Elsdorf on 19.5.2017 in Northrhine-Westfalia/Germany. ELSDORF, GERMANY – MAY 19: Kerstin Brachtendorf, Friedhelm Julius Beucher, President of the National Paralympic Committee and Denise Schindler posing after the ceremonies on Day 1 of the International Cycling Days – Cologne Classic 2018 during the Single Time Trials at the Terra Nova Race Track of Elsdorf on 19.5.2017 in Northrhine-Westfalia/Germany. 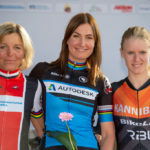 ELSDORF, GERMANY – MAY 19: Kerstin Brachtendorf (GER), Denise Schindler (GER) and Carline Groot (NED) during the ceremonies on Day 1 of the International Cycling Days – Cologne Classic 2018 during the Single Time Trials at the Terra Nova Race Track of Elsdorf on 19.5.2017 in Northrhine-Westfalia/Germany. ELSDORF, GERMANY – MAY 19: Denise Schindler feeling good during the ceremonies listening to the national anthem on Day 1 of the International Cycling Days – Cologne Classic 2018 during the Single Time Trials at the Terra Nova Race Track of Elsdorf on 19.5.2017 in Northrhine-Westfalia/Germany. 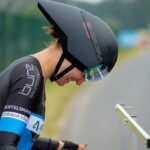 ELSDORF, GERMANY – MAY 19: Kerstin Brachtendorf during the ceremonies for her silver medal on Day 1 of the International Cycling Days – Cologne Classic 2018 during the Single Time Trials at the Terra Nova Race Track of Elsdorf on 19.5.2017 in Northrhine-Westfalia/Germany. 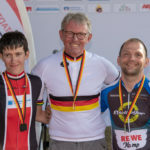 ELSDORF, GERMANY – MAY 19: Jana Majunke, Hans-Peter Durst and David Wiegmans posing after the ceremony on Day 1 of the International Cycling Days – Cologne Classic 2018 during the Single Time Trials at the Terra Nova Race Track of Elsdorf on 19.5.2017 in Northrhine-Westfalia/Germany. 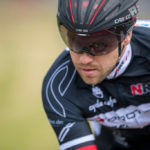 ELSDORF, GERMANY – MAY 19: Vico Merklein’s view when he is competing on Day 1 of the International Cycling Days – Cologne Classic 2018 during the Single Time Trials at the Terra Nova Race Track of Elsdorf on 19.5.2018 in Northrhine-Westfalia/Germany. ELSDORF, GERMANY – MAY 19: Vico Merklein competing on Day 1 of the International Cycling Days – Cologne Classic 2018 during the Single Time Trials at the Terra Nova Race Track of Elsdorf on 19.5.2018 in Northrhine-Westfalia/Germany. ELSDORF, GERMANY – MAY 19: Bernd Jeffre competing on Day 1 of the International Cycling Days – Cologne Classic 2018 during the Single Time Trials at the Terra Nova Race Track of Elsdorf on 19.5.2018 in Northrhine-Westfalia/Germany. 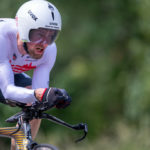 ELSDORF, GERMANY – MAY 19: German Champion Bernd Jeffre competing on Day 1 of the International Cycling Days – Cologne Classic 2018 during the Single Time Trials at the Terra Nova Race Track of Elsdorf on 19.5.2018 in Northrhine-Westfalia/Germany. ELSDORF, GERMANY – MAY 19: Patrick Gabriel competing on Day 1 of the International Cycling Days – Cologne Classic 2018 during the Single Time Trials at the Terra Nova Race Track of Elsdorf on 19.5.2018 in Northrhine-Westfalia/Germany. ELSDORF, GERMANY – MAY 19: Tobias Vetter cometing on Day 1 of the International Cycling Days – Cologne Classic 2018 during the Single Time Trials at the Terra Nova Race Track of Elsdorf on 19.5.2018 in Northrhine-Westfalia/Germany. 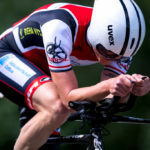 ELSDORF, GERMANY – MAY 19: Tobias Vetter in perfect body position on Day 1 of the International Cycling Days – Cologne Classic 2018 during the Single Time Trials at the Terra Nova Race Track of Elsdorf on 19.5.2018 in Northrhine-Westfalia/Germany. ELSDORF, GERMANY – MAY 19: Thomas Schaefer giving all in on Day 1 of the International Cycling Days – Cologne Classic 2018 during the Single Time Trials at the Terra Nova Race Track of Elsdorf on 19.5.2018 in Northrhine-Westfalia/Germany. ELSDORF, GERMANY – MAY 19: Thomas Schaefer fighting the road on Day 1 of the International Cycling Days – Cologne Classic 2018 during the Single Time Trials at the Terra Nova Race Track of Elsdorf on 19.5.2018 in Northrhine-Westfalia/Germany. ELSDORF, GERMANY – MAY 19: WHOWHAT on Day 1 of the International Cycling Days – Cologne Classic 2018 during the Single Time Trials at the Terra Nova Race Track of Elsdorf on 19.5.2018 in Northrhine-Westfalia/Germany. 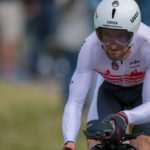 ELSDORF, GERMANY – MAY 19: Matthias Schindler competing on Day 1 of the International Cycling Days – Cologne Classic 2018 during the Single Time Trials at the Terra Nova Race Track of Elsdorf on 19.5.2018 in Northrhine-Westfalia/Germany. 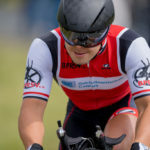 ELSDORF, GERMANY – MAY 19: Andreas Rudnicki giving all in on Day 1 of the International Cycling Days – Cologne Classic 2018 during the Single Time Trials at the Terra Nova Race Track of Elsdorf on 19.5.2018 in Northrhine-Westfalia/Germany. ELSDORF, GERMANY – MAY 19: Andreas Rudnicki competing on Day 1 of the International Cycling Days – Cologne Classic 2018 during the Single Time Trials at the Terra Nova Race Track of Elsdorf on 19.5.2018 in Northrhine-Westfalia/Germany. ELSDORF, GERMANY – MAY 19: Erich Winkler competing on Day 1 of the International Cycling Days – Cologne Classic 2018 during the Single Time Trials at the Terra Nova Race Track of Elsdorf on 19.5.2018 in Northrhine-Westfalia/Germany. ELSDORF, GERMANY – MAY 19: Pierre Senska competing on Day 1 of the International Cycling Days – Cologne Classic 2018 during the Single Time Trials at the Terra Nova Race Track of Elsdorf on 19.5.2018 in Northrhine-Westfalia/Germany. 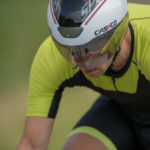 ELSDORF, GERMANY – MAY 19: Close up of Michael Teuber on Day 1 of the International Cycling Days – Cologne Classic 2018 during the Single Time Trials at the Terra Nova Race Track of Elsdorf on 19.5.2018 in Northrhine-Westfalia/Germany. ELSDORF, GERMANY – MAY 19: Michael Teuber in full flat racing position on Day 1 of the International Cycling Days – Cologne Classic 2018 during the Single Time Trials at the Terra Nova Race Track of Elsdorf on 19.5.2018 in Northrhine-Westfalia/Germany. 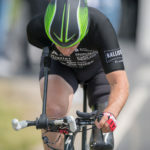 ELSDORF, GERMANY – MAY 19: Tobias Vetter fully concentrated on Day 1 of the International Cycling Days – Cologne Classic 2018 during the Single Time Trials at the Terra Nova Race Track of Elsdorf on 19.5.2018 in Northrhine-Westfalia/Germany. ELSDORF, GERMANY – MAY 19: Tobias Vetter coming off the start block on Day 1 of the International Cycling Days – Cologne Classic 2018 during the Single Time Trials at the Terra Nova Race Track of Elsdorf on 19.5.2018 in Northrhine-Westfalia/Germany. 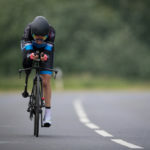 ELSDORF, GERMANY – MAY 19: Tobias Vetter counted into the race on Day 1 of the International Cycling Days – Cologne Classic 2018 during the Single Time Trials at the Terra Nova Race Track of Elsdorf on 19.5.2018 in Northrhine-Westfalia/Germany. ELSDORF, GERMANY – MAY 19: Andrea Eskau competing on Day 1 of the International Cycling Days – Cologne Classic 2018 during the Single Time Trials at the Terra Nova Race Track of Elsdorf on 19.5.2018 in Northrhine-Westfalia/Germany. 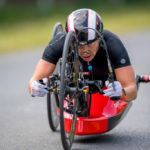 ELSDORF, GERMANY – MAY 19: Dorothee Vieth breathing heavy while competing on Day 1 of the International Cycling Days – Cologne Classic 2018 during the Single Time Trials at the Terra Nova Race Track of Elsdorf on 19.5.2018 in Northrhine-Westfalia/Germany. ELSDORF, GERMANY – MAY 19: Cloesup of Thomas Schäfer on Day 1 of the International Cycling Days – Cologne Classic 2018 during the Single Time Trials at the Terra Nova Race Track of Elsdorf on 19.5.2018 in Northrhine-Westfalia/Germany. ELSDORF, GERMANY – MAY 19: Thomas Schaefer speeding up on Day 1 of the International Cycling Days – Cologne Classic 2018 during the Single Time Trials at the Terra Nova Race Track of Elsdorf on 19.5.2018 in Northrhine-Westfalia/Germany. ELSDORF, GERMANY – MAY 19: Thomas Schaefer coming off the start block on Day 1 of the International Cycling Days – Cologne Classic 2018 during the Single Time Trials at the Terra Nova Race Track of Elsdorf on 19.5.2018 in Northrhine-Westfalia/Germany. 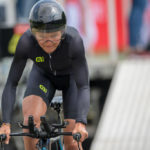 ELSDORF, GERMANY – MAY 19: Christiane Reppe competing on Day 1 of the International Cycling Days – Cologne Classic 2018 during the Single Time Trials at the Terra Nova Race Track of Elsdorf on 19.5.2018 in Northrhine-Westfalia/Germany. 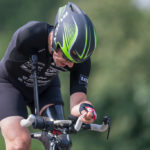 ELSDORF, GERMANY – MAY 19: Matthias Schindler fully concentrated on Day 1 of the International Cycling Days – Cologne Classic 2018 during the Single Time Trials at the Terra Nova Race Track of Elsdorf on 19.5.2018 in Northrhine-Westfalia/Germany. 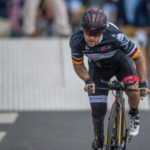 ELSDORF, GERMANY – MAY 19: Matthias Schindler changing from start position to race position on Day 1 of the International Cycling Days – Cologne Classic 2018 during the Single Time Trials at the Terra Nova Race Track of Elsdorf on 19.5.2018 in Northrhine-Westfalia/Germany. 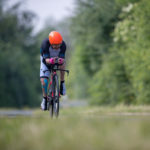 ELSDORF, GERMANY – MAY 19: Matthias Schindler coming off the startblock on Day 1 of the International Cycling Days – Cologne Classic 2018 during the Single Time Trials at the Terra Nova Race Track of Elsdorf on 19.5.2018 in Northrhine-Westfalia/Germany. 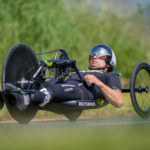 ELSDORF, GERMANY – MAY 19: Andreas Rudnicki counted into the race on Day 1 of the International Cycling Days – Cologne Classic 2018 during the Single Time Trials at the Terra Nova Race Track of Elsdorf on 19.5.2018 in Northrhine-Westfalia/Germany. ELSDORF, GERMANY – MAY 19: Jana Majunke competing on Day 1 of the International Cycling Days – Cologne Classic 2018 during the Single Time Trials at the Terra Nova Race Track of Elsdorf on 19.5.2018 in Northrhine-Westfalia/Germany. ELSDORF, GERMANY – MAY 19: Erich Winkler coming off the start block on Day 1 of the International Cycling Days – Cologne Classic 2018 during the Single Time Trials at the Terra Nova Race Track of Elsdorf on 19.5.2018 in Northrhine-Westfalia/Germany. ELSDORF, GERMANY – MAY 19: Michael Teuber competing on Day 1 of the International Cycling Days – Cologne Classic 2018 during the Single Time Trials at the Terra Nova Race Track of Elsdorf on 19.5.2018 in Northrhine-Westfalia/Germany. ELSDORF, GERMANY – MAY 19: Pierre Sensk competing on Day 1 of the International Cycling Days – Cologne Classic 2018 during the Single Time Trials at the Terra Nova Race Track of Elsdorf on 19.5.2018 in Northrhine-Westfalia/Germany. ELSDORF, GERMANY – MAY 19: Pierre Senska coming off the start block on Day 1 of the International Cycling Days – Cologne Classic 2018 during the Single Time Trials at the Terra Nova Race Track of Elsdorf on 19.5.2018 in Northrhine-Westfalia/Germany. 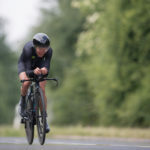 ELSDORF, GERMANY – MAY 19: Hans-Peter Durst giving all in on Day 1 of the International Cycling Days – Cologne Classic 2018 during the Single Time Trials at the Terra Nova Race Track of Elsdorf on 19.5.2018 in Northrhine-Westfalia/Germany. 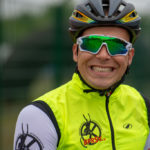 ELSDORF, GERMANY – MAY 19: Michael Teuber smiling on Day 1 of the International Cycling Days – Cologne Classic 2018 during the Single Time Trials at the Terra Nova Race Track of Elsdorf on 19.5.2018 in Northrhine-Westfalia/Germany. 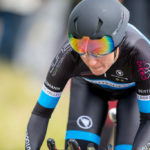 ELSDORF, GERMANY – MAY 19: Dorothee Vieth competing on Day 1 of the International Cycling Days – Cologne Classic 2018 during the Single Time Trials at the Terra Nova Race Track of Elsdorf on 19.5.2018 in Northrhine-Westfalia/Germany. 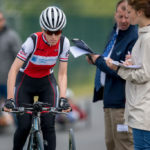 ELSDORF, GERMANY – MAY 19: Dorothee Vieth giving all in on Day 1 of the International Cycling Days – Cologne Classic 2018 during the Single Time Trials at the Terra Nova Race Track of Elsdorf on 19.5.2018 in Northrhine-Westfalia/Germany. 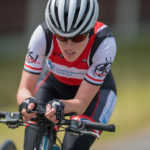 ELSDORF, GERMANY – MAY 19: Dorothee Vieth fighting on Day 1 of the International Cycling Days – Cologne Classic 2018 during the Single Time Trials at the Terra Nova Race Track of Elsdorf on 19.5.2018 in Northrhine-Westfalia/Germany. ELSDORF, GERMANY – MAY 19: Christian Reppe on Day 1 of the International Cycling Days – Cologne Classic 2018 during the Single Time Trials at the Terra Nova Race Track of Elsdorf on 19.5.2018 in Northrhine-Westfalia/Germany. 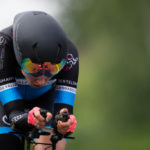 ELSDORF, GERMANY – MAY 19: Kerstin Brachtendorf fighting the road on Day 1 of the International Cycling Days – Cologne Classic 2018 during the Single Time Trials at the Terra Nova Race Track of Elsdorf on 19.5.2018 in Northrhine-Westfalia/Germany. ELSDORF, GERMANY – MAY 19: Denise Schindler folded flat on Day 1 of the International Cycling Days – Cologne Classic 2018 during the Single Time Trials at the Terra Nova Race Track of Elsdorf on 19.5.2018 in Northrhine-Westfalia/Germany. 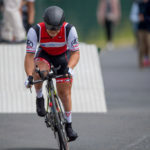 ELSDORF, GERMANY – MAY 19: Worldchampion Denise Schindler fighting for the medals on the track on Day 1 of the International Cycling Days – Cologne Classic 2018 during the Single Time Trials at the Terra Nova Race Track of Elsdorf on 19.5.2018 in Northrhine-Westfalia/Germany. 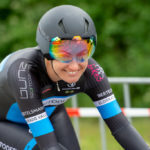 ELSDORF, GERMANY – MAY 19: Jana Majunke at the start block on Day 1 of the International Cycling Days – Cologne Classic 2018 during the Single Time Trials at the Terra Nova Race Track of Elsdorf on 19.5.2018 in Northrhine-Westfalia/Germany. 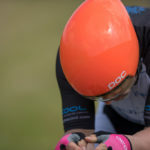 ELSDORF, GERMANY – MAY 19: Hans-Peter Durst cranking in at the start on Day 1 of the International Cycling Days – Cologne Classic 2018 during the Single Time Trials at the Terra Nova Race Track of Elsdorf on 19.5.2018 in Northrhine-Westfalia/Germany. ELSDORF, GERMANY – MAY 19: Kerstin Brachtendorf coming off the start block on Day 1 of the International Cycling Days – Cologne Classic 2018 during the Single Time Trials at the Terra Nova Race Track of Elsdorf on 19.5.2018 in Northrhine-Westfalia/Germany. ELSDORF, GERMANY – MAY 19: Denise Schindler coming off the start block on Day 1 of the International Cycling Days – Cologne Classic 2018 during the Single Time Trials at the Terra Nova Race Track of Elsdorf on 19.5.2018 in Northrhine-Westfalia/Germany. 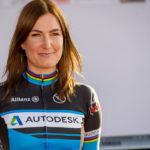 ELSDORF, GERMANY – MAY 19: Denise Schindler flirting with the camera while waiting for her start on Day 1 of the International Cycling Days – Cologne Classic 2018 during the Single Time Trials at the Terra Nova Race Track of Elsdorf on 19.5.2018 in Northrhine-Westfalia/Germany. ELSDORF, GERMANY – MAY 19: Denise Schindler having fun while UCI officials measuring her bike on Day 1 of the International Cycling Days – Cologne Classic 2018 during the Single Time Trials at the Terra Nova Race Track of Elsdorf on 19.5.2017 in Northrhine-Westfalia/Germany. 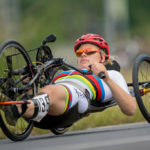 ELSDORF, GERMANY – MAY 19: Wordlchampion Denise Schindler rolling slowly to the start block on Day 1 of the International Cycling Days – Cologne Classic 2018 during the Single Time Trials at the Terra Nova Race Track of Elsdorf on 19.5.2017 in Northrhine-Westfalia/Germany. 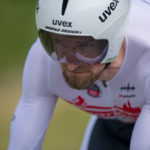 ELSDORF, GERMANY – MAY 19: Pierre Senska prior to the start on Day 1 of the International Cycling Days – Cologne Classic 2018 during the Single Time Trials at the Terra Nova Race Track of Elsdorf on 19.5.2017 in Northrhine-Westfalia/Germany.